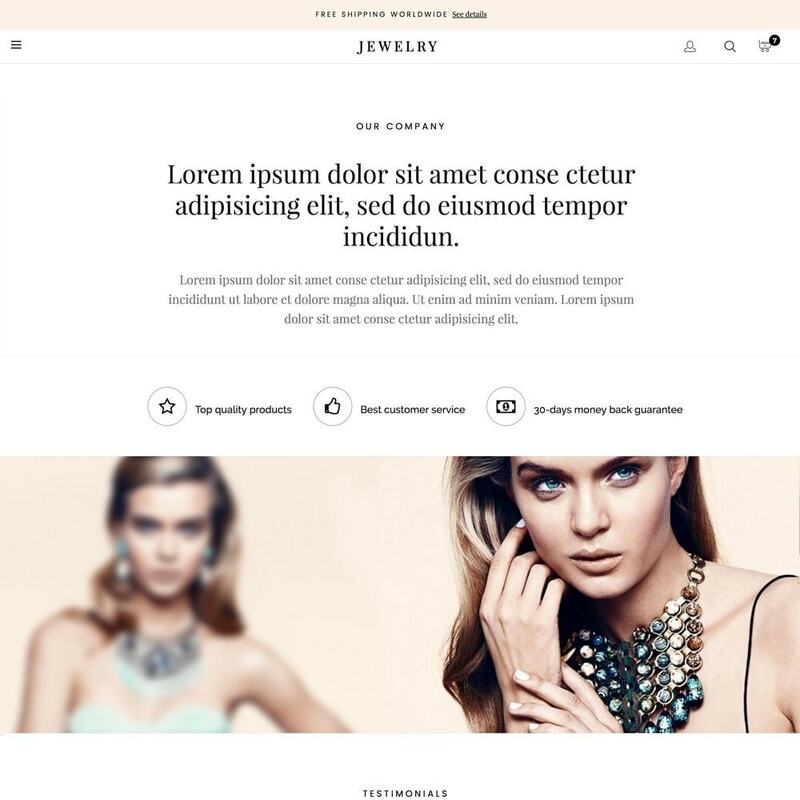 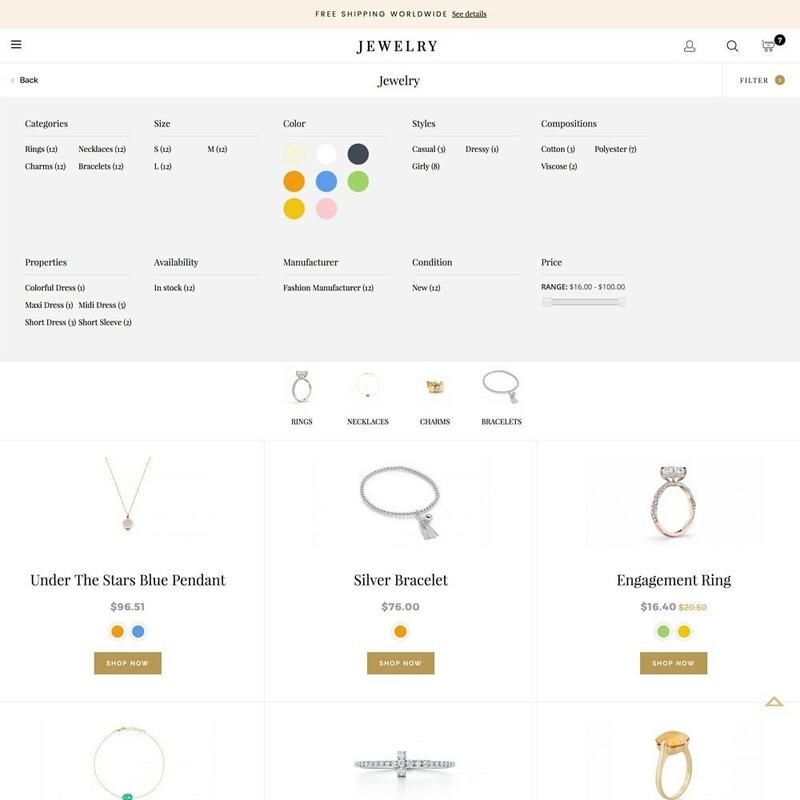 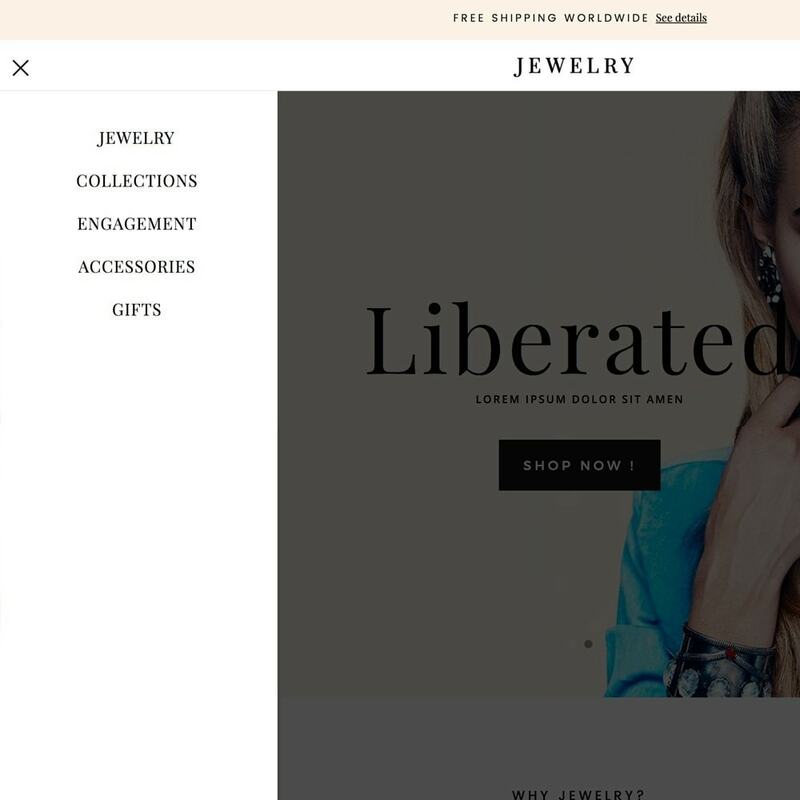 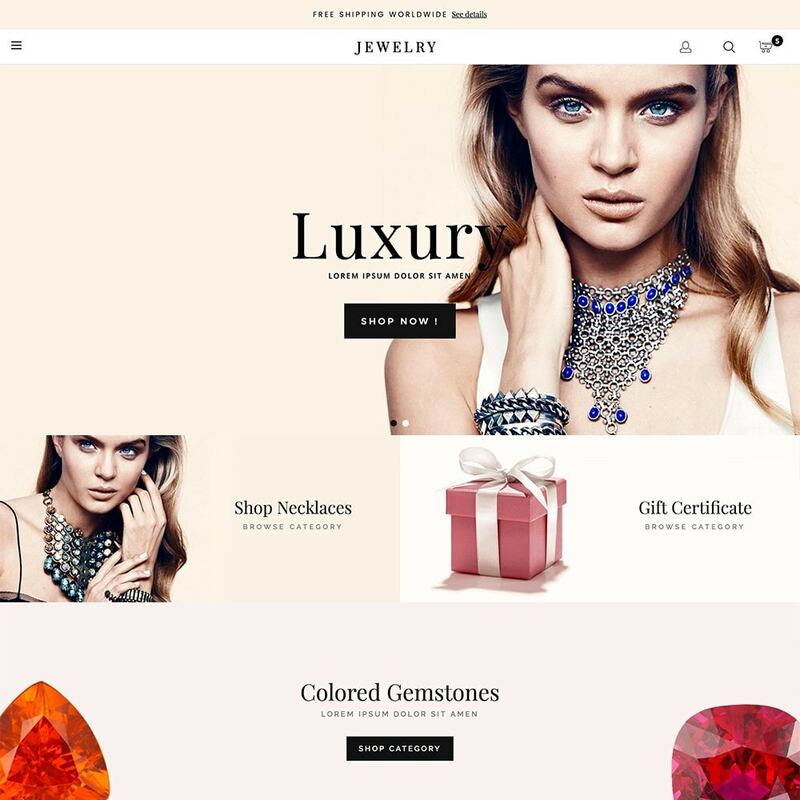 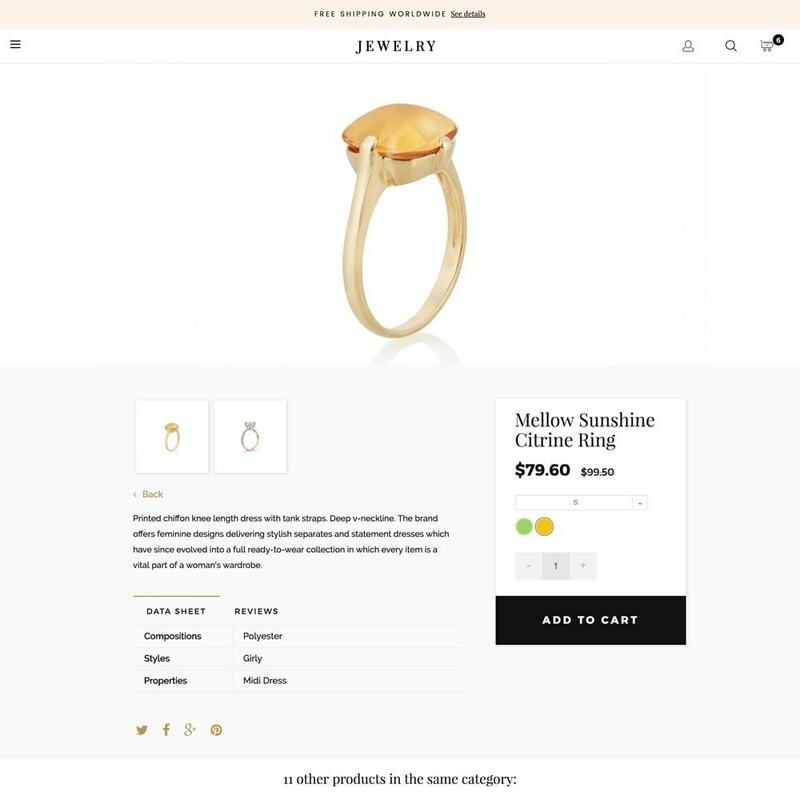 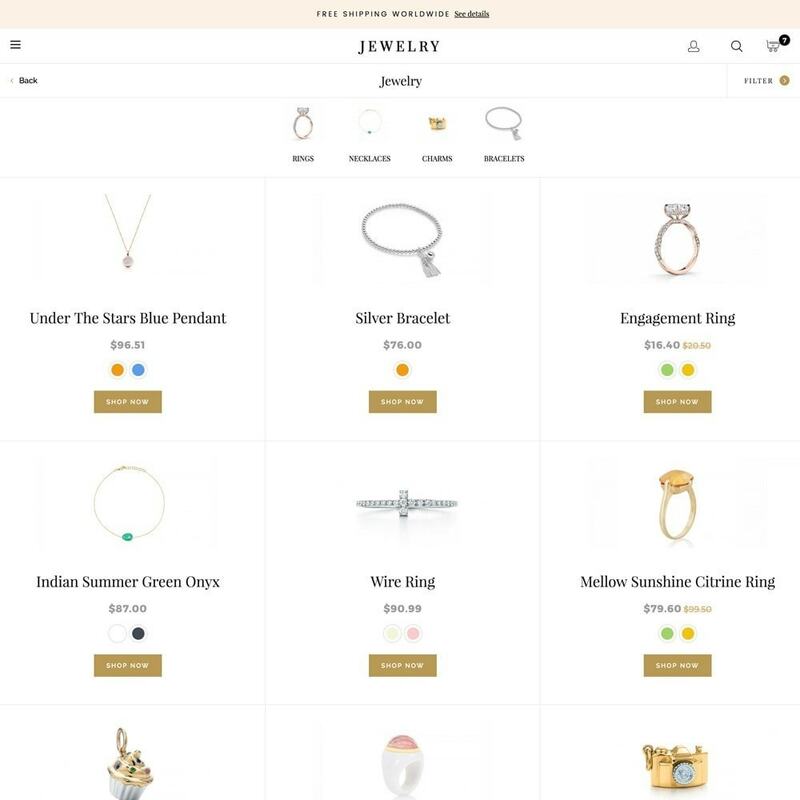 The perfect theme for every jewelry online shop. 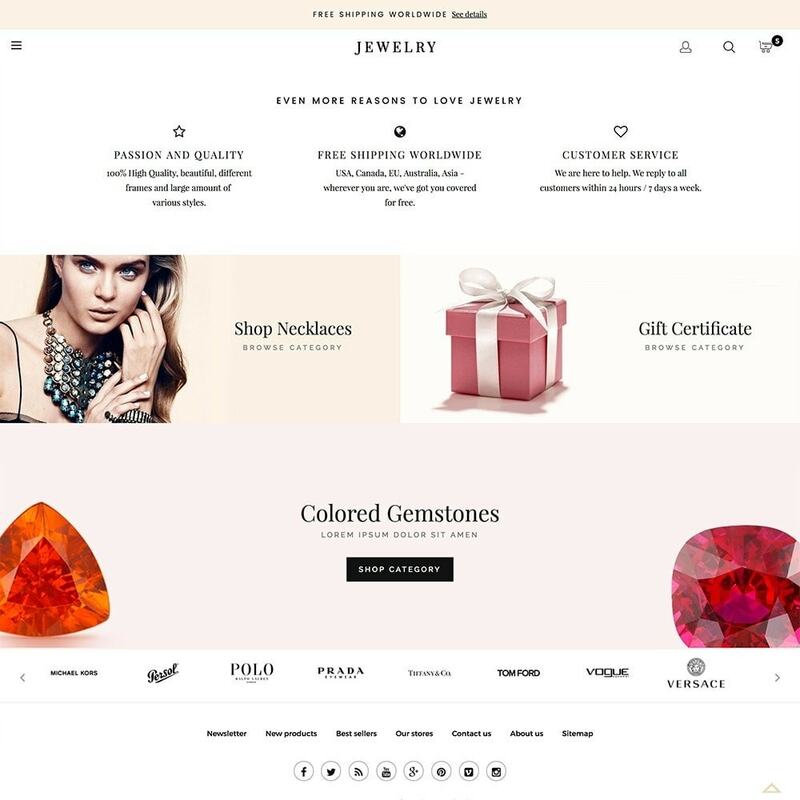 It will make you webstore look glorious, glamorous and gorgeous. 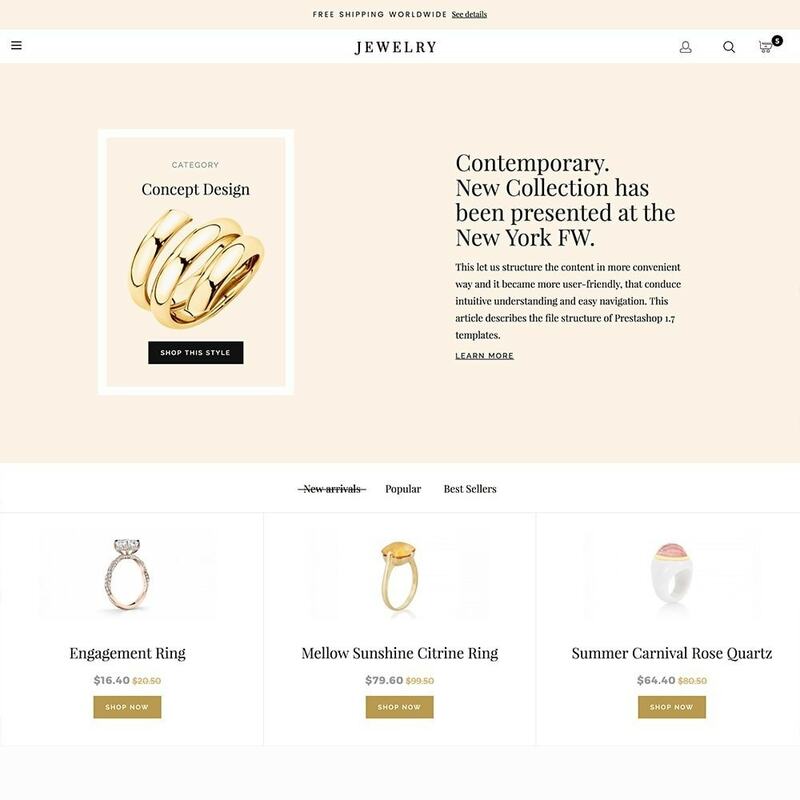 Represent your products in the best way and enjoy the flexibility and functionality of the current theme.